*** Join me for a KAL in my Ravelry Group: All in a Day’s Fun! KAL starts April 10 and ends May 31! 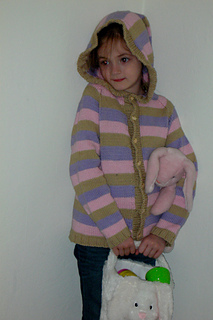 Come sign up for the KAL and get your coupon code to buy your pattern! My oldest daughter loves (loves, loves, loves!) bunnies. 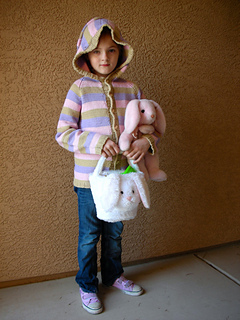 She has stuffed bunnies of every size, shape and color. She has shirts with bunnies on them that she is fast outgrowing. 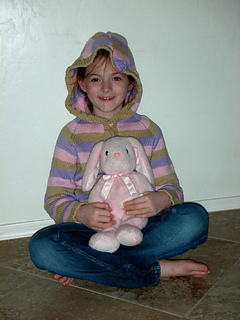 She kept asking and asking if I could make her a bunny sweater. 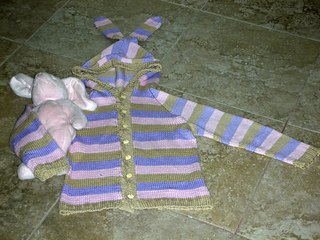 I had another friend who has a little one who loves his story with a bunny in it and he kept asking his mommy for a bunny sweater as well. 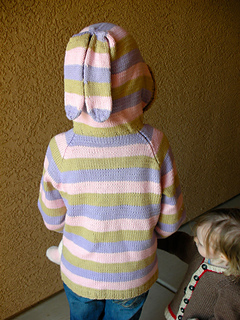 I couldn’t disappoint these two little cuties who simply wanted a sweater with stripes and bunny ears! So hop to it and your little one can join in the Bunny Hop as well! Thank you so much Katie and Blue Sky Alpacas/Spud and Chloe for your color help and yarn support!